I’d avoided the hairdressers for over a year. I’d become hairstyle-less. My hair was unwashed more than it was clean; some days it wouldn’t even get a brush. At the most my hair efforts involved a blast of the hairdryer; at the least…well, nothing! Enough was enough; my hair deserved some care so this week I visited Trinder Hair for a much needed cut and colour. Trinder is run by husband and wife team, Marc and Sophie Trinder, who have more than 20 years of hair styling and colouring experience between them. Previously part of the artistic team at Charles Worthington; stylists for London Fashion Week and the BAFTAs; trainers for the likes of GHD; educators for L’Oréal Professionnel; credited with the halo braid hair trend…it’s fair to say when it comes to hair they really know their stuff! 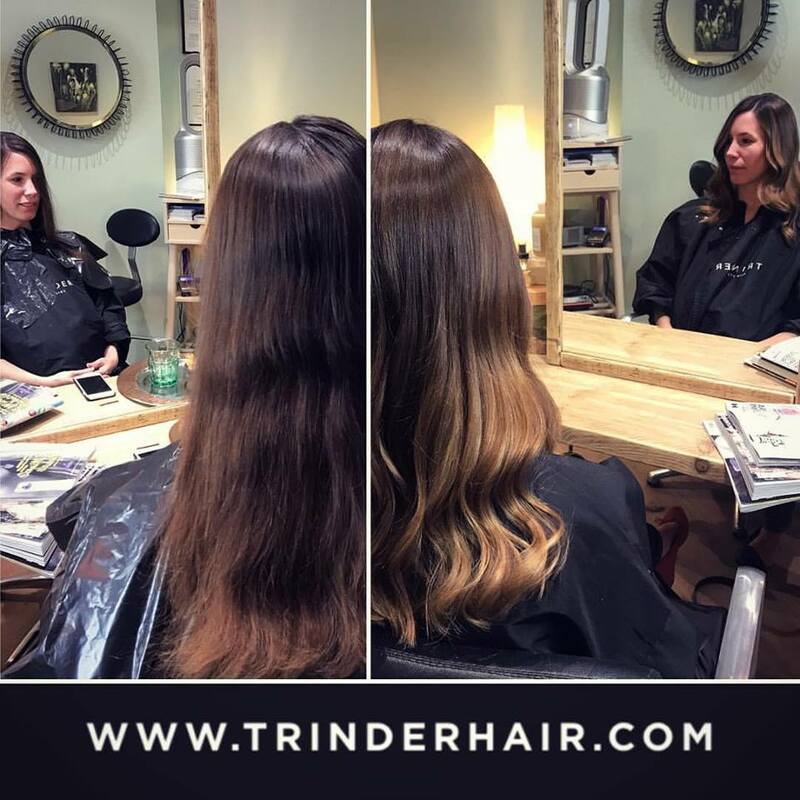 The Trinders opened their central St Albans hair salon in November 2016 and have been receiving rave reviews ever since. Such is the demand for a Trinder hair makeover that you may be looking at a three month wait for an appointment. They’ve brought on board another experienced master stylist, Kristina, who shares the Trinder’s passion for great hair, high standards and exceptional service. So whichever member of the team you book with, you can be confident you’ll walk out loving your new look. Hidden away behind a wooden gate, the small basement salon is a lovely little escape. Alongside the promise of great hair they’ve not forgotten the little touches. Good interior design, good music, good magazines, good products. Olivia and Kelly, the friendly and conscientious salon assistants, are also on hand to make sure you’re well looked after during your visit. After a year of nondescript hair I was ready to put myself in Marc Trinder’s capable hands. He put me at ease from the outset. He listened to my requests for low-maintenance hair and there were no judgments of my lack of washing / brushing / styling efforts. I had total confidence in his suggestions for my restyle and first time experience of balayage colour. Having kept away from colour change since my wilder university days, I did have some mild trepidation as the unveiling of my new lighter locks drew nearer. But there was no need to worry – Marc really is a pro when it comes to colour – and I love the end result. On the day I was there, clients were travelling from Kent, Essex and London to visit the Trinder salon – and I can see why. The personable service; the experience and expertise; and of course the end results which speak for themselves. Don’t just take my word for it, have a look at the transformation photos on their Instagram or Facebook page. If you’re looking to treat yourself with a new style or colour, it’s a no-brainer, go to Trinder.